Jan 14, 2007 - K gets sick at the thought of turning 34 ! I can hardly remember being 34! But, of course, I can hardly remember what I did yesterday .... Great shot! Oh wah:-) How about we cool it on the 50 stuff ok? This is a keeper for sure. 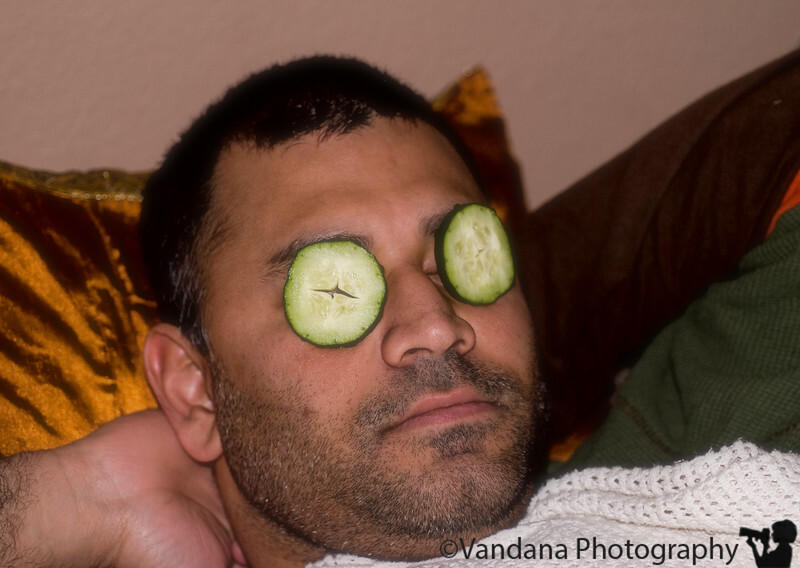 Not often you see a man with cucumbers on his eyes. Is he peeking through the hole? LOL! lol! Tell him to cheer up, he's only going to get older, so he might as well enjoy it. Me, I'm looking forward to 50 -- as far as I figure, after 50, all bets are off.